There are 2 kinds of Syllables in Thai which are Dead and Live Syllables. Thai syllables can be categorized into 2 groups which are Dead syllables and Live syllables. In Thai language, words can consist of more than one syllable. To read and pronounce each syllable correctly you will need to know about the syllables whether they are dead syllables or live syllables. We spend a longtime practising this with our students at our Thai Language School. 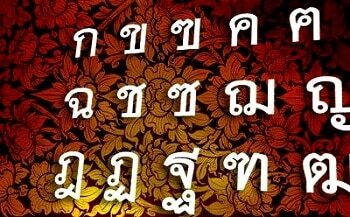 The dead syllables and live syllables play a major role in Thai tones and pronunciation. To use the right tone markers you will need to know the three groups of Thai consonants and the two groups of Thai vowels. At this stage, you will need to know more about Thai final letters. What are the Stop final letters and Sonorant final letters? Check our other blogs.